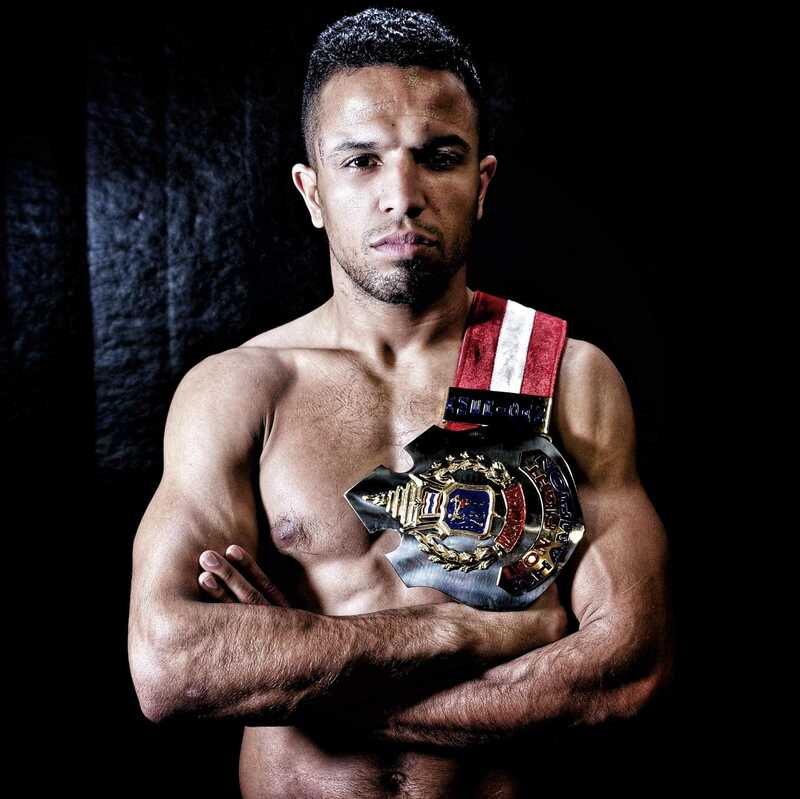 Amine “The Lion” Ballafrikh was born and raised in Morocco, and moved to the United States when he was 20 years old to fight Muay Thai professionally. After arriving in Sterling, VA — with less than $100 in his pocket — he realized that in order to train properly he would first need to focus on getting his finances in order and learn the English language. He moved to New York and began delivering pizzas on a bike, no matter the weather, day and night, 16 hours a day. His work ethic paid off, he learned English, and he was able to afford a car and rent. After a year and a half he was ready to focus on his professional Muay Thai career, and moved back down to the Sterling, VA area. Amine began training Muay Thai when he was 14 years old, and is driven by his desire to be successful and take care of his mom. He’s had more than 50 fights, and on February 16, 2019, Amine became the The Lion Fight Lightweight North America Champion. Lion Fight 51 was held at the Los Angeles Memorial Coliseum where Amine dethroned Jordan Harris in a unanimous decision (49-48, 49-48, 49-46). He’s scheduled to defend his belt on June 8th at Foxwoods Resort Casino in Ledyard, CT.
Amine teaches and trains at several Capital MMA & Elite Fitness locations. He’s also available for private Muay Thai classes. Have free time on the weekends? Head to our Sterling, VA area location where Amine teaches an all levels class at 12:00 PM. Amine is only 26 years old, and presses forward every day to be the champion! If you are interested in sponsoring him, or supporting him in any way, send us a message. Want to learn more about Amine? Check out the latest Fight Philosophy podcast. Shoutout to Musa Visual Media, LLC for the amazing picture!